Paul Weller – "Wake Up The Nation" Review From Australia! – Paul Weller News! Paul Weller – "Wake Up The Nation" Review From Australia! THE intimations of mortality have been coming fast for Paul Weller. Not in his endlessly questing creative spirit, undimmed with his new album Wake Up The Nation as vibrant and energetic as any he has made in a recording career stretching across 33 years. But the urgent feel of the music and the lyrics does reflect his state of mind, that at 52 he doesn’t want to waste a day. The album is dedicated to “absent friends” who all died in 2009: his father and manager John Weller; Pat Foxton, wife of his old Jam bandmate Bruce Foxton; and Robert Kirby, the arranger remembered for his work with Nick Drake who also worked with Paul. John Weller’s relationship with his son was special, starting as Paul’s manager with The Jam when Paul was still at school and continuing through the Style Council and his 20-year solo career. John’s role in his son’s career was crucial: Paul is one of the few musicians who emerged at the time of punk to connect with the commercial mainstream and is still making hit records. One of the new album’s most striking achievements is Trees, an examination of life’s swift passing in five musical movements across five action-packed minutes. “The lyrics came from visits to my Dad when he was in a respite home, where he was to give my Mum a break from looking after him 24 hours a day. I would see people there, probably older then he was, and I was trying to imagine what their lives were like years before, as beautiful young women, mothers, proud strong men. The death of Pat Foxton from cancer finally healed the rift created when Weller split up The Jam in 1982. Bruce Foxton plays bass and sings backing vocals on Fast Car/Slow Traffic on the new album. “Once we did the backing track, I said to (producer) Simon Dine, Foxton would be great on this because he has a unique sound and style. The glowing reviews for Wake Up The Nation come after the equally well-received 2008 double CD set 22 Dreams. Dine was an important collaborator in both and is co-writer of all the tunes on the new album. The title tune voices Weller’s disgust at instant celebrity and the rise of mediocrity in the digital age, with its call to “Get your face out the Facebook and turn off the phone”. “In the current climate the general message is anything’s attainable at the flick of a button. You don’t have to be any good at anything; you just have to have your face on TV. Weller, who has picked himself up off the canvas a couple of times in his long career, knows that the illusion of success can be hollow. “The journey to get wherever you want to get to, that’s just as important as getting there, isn’t it? Wake Up the Nation (Island Records) is out now. Weller plays The Tivoli, Brisbane, October 19 and 20. Book through Ticketek. Previous Entry Paul Weller – Classic Video – Foot Of The Mountain – Live Glastonbury 1994! 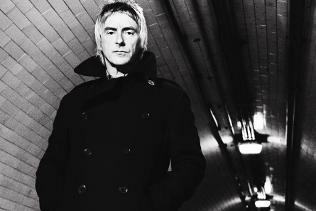 Next Entry Paul Weller Appears At "MTV Days Music Festival & Conference" In Torino, Italy!